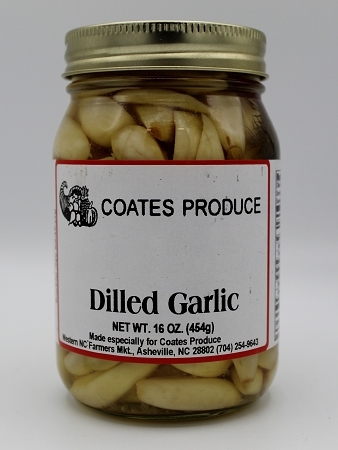 Our Dilled Garlic has the flavor of garlic without the bite. Great for salads or by themselves. Ingredients: Garlic, vinegar, water, salt, jap. peppers & dill.